When you get behind the wheel of your car, chances are you think nothing of your driving experience because you’ve grown accustom to the way that it accelerates, handles and brakes. In other words, you’re not given much in the way of variety when you drive it. For some, there’s nothing wrong with that. For others, however, and many others at that, variety is the spice of life. If you’re one of the many who wants to shake things up on the road, you owe it to yourself to consider the 2016 Mercedes-Benz C-Class. Designed to offer a dynamic driving experience, the 2016 C-Class offers a selection of several driving modes, including “Eco, Comfort, Sport and Sport+.” As a result, you get your choice of how you want your car to drive. 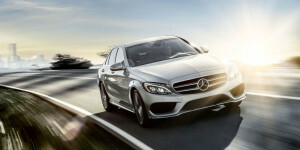 Interested in learning more about the 2016 Mercedes-Benz C-Class? If so, be sure to visit us here at Mercedes-Benz of Beaumont today. We offer a wide range of models including the 2016 C-Class and other from the new Mercedes-Benz lineup.